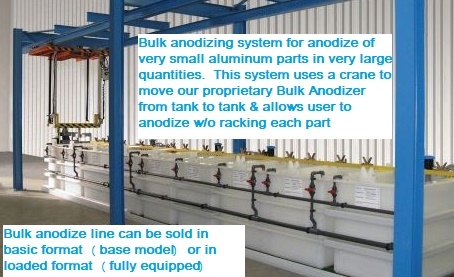 Get better quality & better control on coating No more sending parts back for "redo"
1- Large or medium commercial plating tank line is ideal for a job-shop offering anodize or electropolish service to machine shops or people within 60-80 mile radius to job-shop. 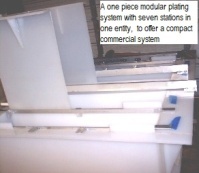 2- Small to medium-small commercial plating systems are ideal for medium sized metal stamping shops, metal extrusion shop, and CNC machining shops that send out $15,000 or more in plating or anodizing work. Commercial systems can come as a one piece type of set up (compact & installs quickly) or as a set up with 6 tanks to 20 tanks. 2- For very small machine shops that send out between $5000 per year to $14,000 a year in anodizing work, we offer a half commercial / half non commercial anodize or plating kits. This type of system is generally recommended for machine shops with limited anodizing or electroplating needs. 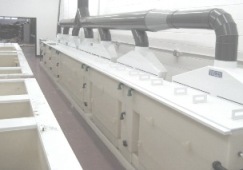 They will offer the same quality finish as a commercial system for 40% less in upfront cost. 3- For a one man or two man machine shop, garage based machine shop, or very small metal working shop, we would recommend non commercial systems meant for commercial plating use. These systems come with fully professional grade chemicals and other commercial add-ons such as commercial heaters and electrodes. This type of anodize or plating systems can only be sold to commercial users. 4- Lastly, we offer eco friendly grade anodize and plating kits for hobby use, educational use, and home use. 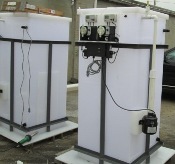 Above are two different small waste atmospheric evaporator systems that can evaporate 4x to 6x faster than a boiling evaporator by using heat, force air, baffles, and water atomization. 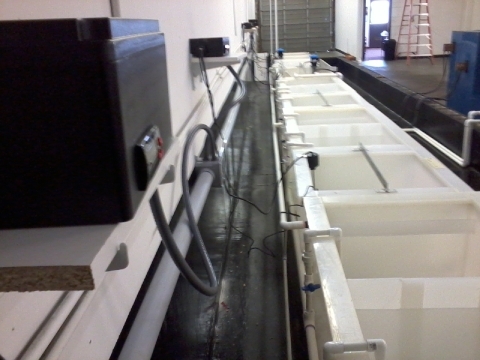 Next photo is a closed loop high effluent waste ultra-filtration system that has zero discharge. 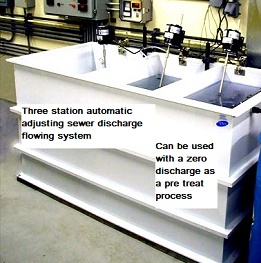 The left photo is a batch treatment system (treats a lot of waste water a couple times a day) while the one on the right is an automatic flow through system for treating anodizing rinse stream from a 100-300 gallon per tank system. 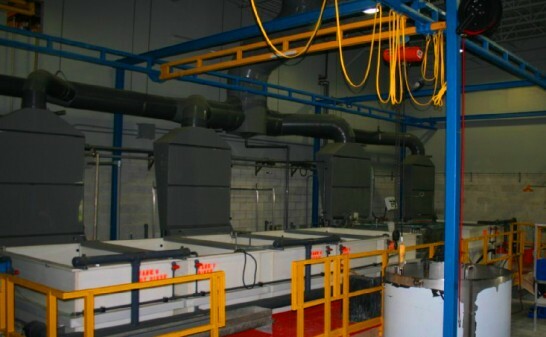 Anodizing batch waste system treats larger batches which are hundreds of gallons to thousands of gallons 2 to 3 times per shift. 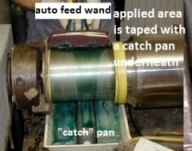 Anodizing automatic waste is just that, automatic so it treats small amount of waste water but continuously. Selective Plating & Brush Plating: Cadmium plating or zinc plating of steel parts without having to buy a bunch of tanks or a space consuming system. 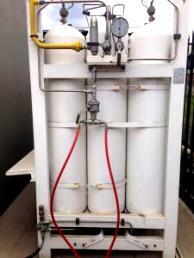 These are plating systems that allows users to plate parts outside of a tank. 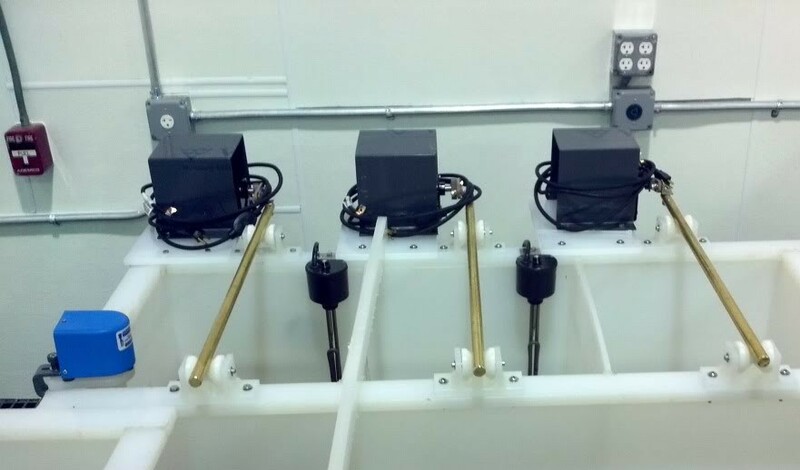 The user will apply plating directly onto part via an electroplating wand without having to dip parts into a tank. 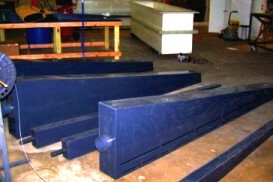 IN HOUSE PLATING TANK FABRICATION: We build plating tanks weld polypro tanks, fume hoods, waste treatment systems, secondary containment, spray stations, and bulk anodizing of 10,000s of small parts in house. This gives us full control over the building process which in turns allows us to offer the buyer much more precision equipment so they can be custom tailored to each customer. The next few photos below shows a few various systems that we have built in house for customers. ELECTROPOLISHING: Link to electropolish of stainless, aluminum, and many other metals. Both of the set up below is for electropolishing. 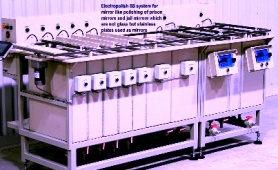 The main differences between the two electropolish set up is one is a large fully commercial system with a 1 ton hoist system while the other below is an electropolish system that is half commercial and half non commercial. Commercial plating Systems for cadmium plating and zinc plating which can be dyed to black, old, olive, and chrome look. We can match your shop up with the right system for the job. 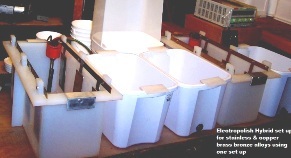 As shown above, we have large electroplating and anodize systems for limited and full commercial use. Plus we can build custom kits this size or larger for any of your plating needs. We supply plating equipment and chemicals for many metal finishing processes, such as electroplating (chrome, tin, cadmium, gold, nickel, brass, zinc, silver etc.) and anodizing. We offer commercial equipment, complete turnkey plating lines, and commercial grade chemicals to machine shops & manufacturer. 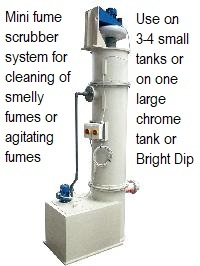 We also offer a vast array of products for non-commercial operations. 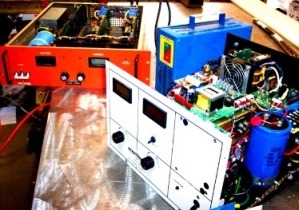 RECTIFIER REPAIRS on your plating tank rectifiers and anodize rectifiers is offered in house. Custom fabrication of FUME HOODS in push pull systems and pull only systems. REEL TO REEL plating line or wire spool plating as well as any "one-off" custom application such as the stainless mirror & flat plate electropolish system are also available. We can build almost anything to suit one's needs.